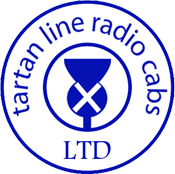 We offer an exemplary Airport Transfer service in the Falkirk Council area. We can supply you with 4 or up to 8 seater taxis, dependant on your needs. Our set fares* are extremely reasonable and stand scrutiny against other companies. We are more than willing to meet you at the Airport and bring you into the area for less than the Airport Taxis. You can, if you wish, request a chip and pin facility and we will ensure the cab sent for you is able to oblige. We look forward to hearing from you soon, when we can discuss your needs and how we can help. *NB set fares are inclusive of parking charges levied by the Airport Authority.